1. Our machine has two characteristics: high degree of automation and assembly line work. 2.The Pelleting machine has good dispersion effect. 3.The machine production is very high, and the work environment is very clean. 4.The technology can be adjusted according to customer's raw material. Business Description: Nine Delong Machinery (Kunshan)Co.,Ltd,is a professional production of various specifications of the extruder of modern high-tech enterprises.Purse the “Qality first,Reutation”principle,to provide the best service to customers at home and abroad.with the talent,information,quality,efficiency to meet the needs of the development of the rubber industry change rapidly.Etablish the quality system of ISO stards.TO ensure quality,professional excellent service,excellent technology,mechanical vibration is williams of the new and old customers solemn promise.Is willing to work with customers around the world to establish win-win cooperative relations.hand in hand to create a better future;the company will continue to carry forward the “Pioneering,Enterprising,”the entrepreneurial spirit,in all walks of life and each session of friends warmly support make greater achievements. Nine Delong machinery (Kunshan)Co.,Ltd.Delong extrusion machine series,granulator mixer series,rubber series and special equipment etc. Granulating machine:cable material granulator,highly filled master batch granulator,rubber granulator,calcium carbonate pelletizer,rubber accelerator granulator PVC pelletizer,chemical cross-linking cable material granulator,low smoke no halogen cable material granulator,CPE granulator,carbon black granulator plastic and all kinds of rubber granulator unit. 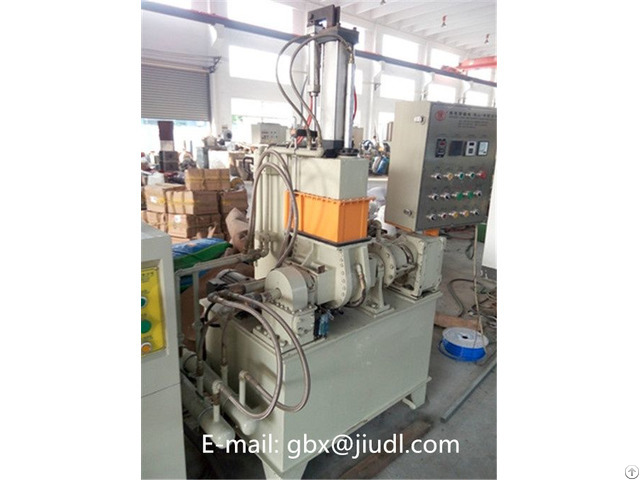 Special rubber:mixer,mixing machine,slitting machine,granulator machine,a trainning machine,cutting glue machine,cold machine,machine,kneading machine,welding mahcine. Sincerely welcome people from all walks of life to visit our company for cooperation,and open up a brighter future together.